Nuvali will be the host venue of this year’s "Dirt Weekend," the Philippine qualifying race for the 2016 World Mountain Bike Championshipz. Started in 2009, Dirt Weekend is now recognized as one of the country’s premium racing events among professional MTB riders and enthusiasts alike. Nuvali has announced that it will be staging this year’s Philippine qualifying leg of the Union Cycliste Internationale (UCI) Mountain Bike (MTB) World Championship at the annual “Dirt Weekend” to be held on November 6, 7 and 8 at Nuvali in Laguna. UCI is the international governing body on sports cycling and competitive cycling events. The Dirt Weekend event will showcase not only how men and women bikers around the world test their endurance from different trails but to let the world know that our country is prepared to host a world biking competition. Everyone is welcome to join in any of the cycling events at Dirt Weekend! Fun riders will tackle the courses alongside professional elite riders. Dirt Weekend will feature four MTB races, each requiring a unique set of mountain biking skills, throughout a three-day period of non-stop festivities revolving around the popular cycling sport. UCI Cross Country Marathon (XCM) World Series qualifying race which enables top finishers to move up to the 2016 Cross Country Marathon World Championship in France. The XCM course on Nuvali runs for 70 kilometers and is riddled with technical descents as well as rocky paths and obstacles, designed to mimic a mountain terrain. The UCI Cross Country Olympic (XCO) is similar to the XCM but shorter at 35 kilometers. The XCO is a “Registered Class 3” UCI race that lets elite riders earn UCI points. The Four Cross Race is a gravity or downhill event that features four riders racing at the same time through a challenging BMX-like trail of jumps, drops, and obstacles, with the top finisher proceeding to the next round. The Dirt Weekend Cross Country Race is Nuvali’s signature cycling event that draws over 1,000 riders yearly to the estate in an exhilarating dash around its 35-kilometer dirt trail. “This year, we are expecting over 5,000 visitors to Nuvali for the Dirt Weekend, including 1,500 riders. We strive to make Dirt Weekend an enjoyable gathering place for competitive bikers and fun riders by staging challenging races that cater to all skill levels, as well as entertaining fringe activities such as a bike expo and food fair for all, we have put together an infrastructure that will allow such. We have dedicated bike lanes, we are starting with our bike share program and we have also established dedicated off-road biking and running trails.” said Estacio. 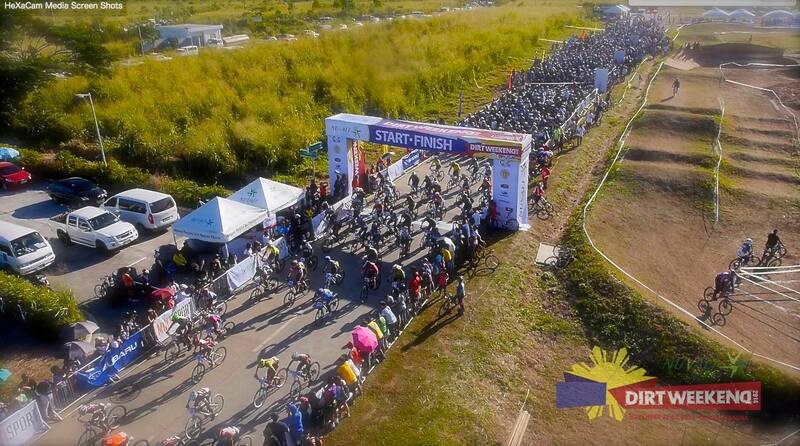 Over the years, Dirt Weekend has created massive ripples across the MTB community as a leading pioneer in staging world-class cycling events, a testament of its enthusiasm and support to the Philippine cycling scene. In 2012, Dirt Weekend summoned hundreds of riders around the country with the staging of the first Enduro Race in the Philippines. 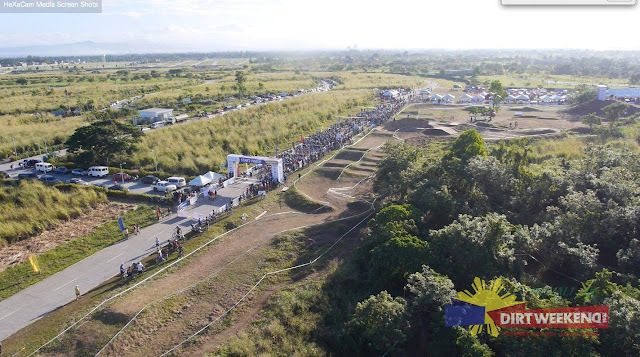 The following year, it created another round of excitement among dirt riders when Nuvali became the venue for the first UCI Philippine MTB National Championship and the first Philippine MTB Marathon National Championship, garnering over 1,000 participants in attendance. Nuvali is a complete self-supporting eco-community that is home to 12,000 residential units, two business process outsourcing (BPO) buildings, a leisure shopping mall, and two prestigious schools. A world-class health facility is set to rise on the estate grounds by the second quarter of 2016. Nuvali is accessible via multiple exits of the South Luzon Expressway (SLEX) at Mamplasan, Sta. Rosa, Eton-Greenfield, Silangan and Canlubang. One can also take any of the public buses that ply to the estate from major centers like Makati, Bonifacio Global City and Balibago. 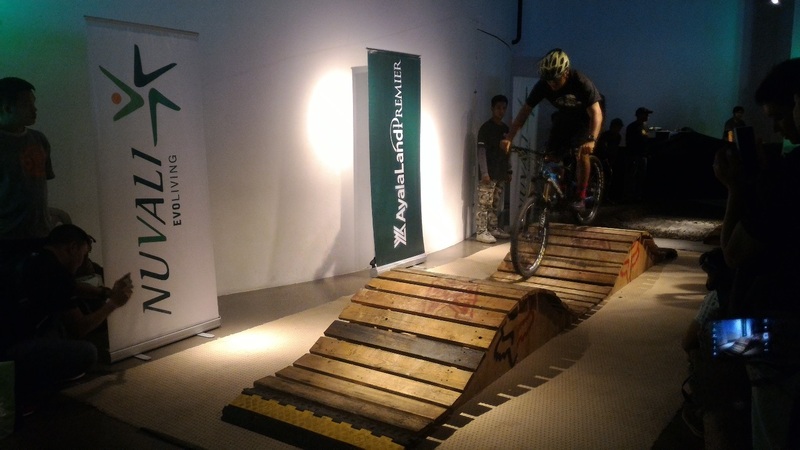 Article by Ace Paragoyo, Pinoy AdvenTurista's official representative to the Dirt Weekend launch.